Dr.Malpani's Blog: The new mantra for IVF success - a New Year post ! The new mantra for IVF success - a New Year post ! IVF technology has progressed slowly, but surely. Most of these advances don't grab headlines, because they are not revolutionary, which is why many patients are not aware of their impact. They are incremental and evolutionary , and the good news is that as a result of these advances, we're now able to provide much higher IVF success rates than we could in the past. This gives us a lot more confidence in our ability to help patients to complete their families. One of the new mantras for IVF success is a freeze all policy. Thanks to vitrification , our ability to freeze and thaw embryos has become extremely good and survival rates are practically 100% , which means that if freeze a good quality embryo in our lab , the chances of it growing well after thawing are nearly 100%. In the past , we would transfer fresh embryos into the uterus, during the IVF cycle itself. However, we've now realized that the hormonal superovulation we need to subject the patient to ( to help her to grow lots of eggs) will often subtly distort the uterine lining, thus reducing the chances of implantation. 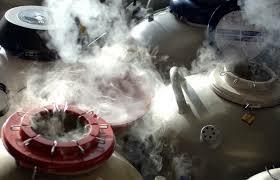 Today, the new mantra is that we freeze all the embryos. Initially, this was something we used to do routinely for patients who grew lots of eggs , because we were worried about the risk of hyperstimulation. We observed that the pregnancy rates for these women was extremely high when we transferred their frozen embryos in subsequent cycles. This meant that something which we started doing because we needed to prevent complications has now evolved into something which we do electively for all patients, even if they just have 3 or 4 embryos. This is because the chance of that embryo becoming a baby is far better when we transfer the frozen embryo to an endometrium which has been optimally prepared for implantation, because it is much more receptive. This could either be in a natural cycle ; or in a cycle where the endometrium has been prepared with estrogen. In a fresh cycle, our focus is on growing lots of eggs, and the uterine lining is a secondary concern, which is why it may get compromised. However, when we have frozen embryos to transfer, we can focus our energies on ensuring that the uterine lining is perfect. This single-minded focus helps to improve success rates. This option does cost a little more ( because we need to freeze and then thaw the embryos); and takes the patient a little more time ( because she needs to come back again for the transfer), the cumulative pregnancy rate with this technique is far better.